The main focus of LFS 350 was to provide an opportunity for us as students to engage in the community and gain hands-on experience working with issues of community food security in a community setting. Our group gained this experience by working with the Immigrant Services Society of British Columbia (ISS of BC) and immigrant seniors living in the Guildford area to create an asset map to help address food insecurity issues within the Arabic-speaking immigrant community in the Guildford area. 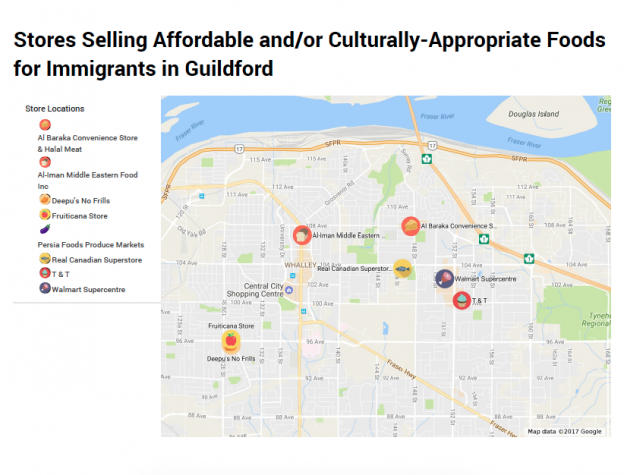 Our role as an LFS 350 team was to gather information from Arabic-speaking group of seniors living in the area so as to construct an asset map which could be used by new immigrants in the Guildford area to locate stores providing affordable and culturally-appropriate foods. The primary roadblocks faced by the group were due to communication issues. Our primary means of communication was through email and it took time to communicate with the community partners and coordinate meetings with the seniors and ISS of BC. We also experienced minor difficulties when planning for the cooking session with the seniors. For example, it was difficult to decide who would grocery shop as everyone had extremely busy schedules and most of us commuted. We overcame this by dividing the work such that students living on or near campus completed the shopping. This was a great learning experience for us in terms of planning. As Shulman mentions, “without a certain amount of anxiety and risk […] there’s a limit to how much learning occurs” (Shulman, 2005). In this way, Shulman (2005) asserts that professional education contributes to skilled professional practice, and learning will be limited without uncertainty present in the process. In turn, we faced the risk of failing to recognize the knowledge and work of the seniors as well as the needs of ISS of BC via creating an insufficient map product. The completed map product will hopefully assist new immigrants to Canada, which thus places a higher degree of anxiety and risk upon the project process. This experience taught us that we should have better deadlines and all group members should respond to new sources of information provided by the community members punctually so that the person communicating with the community partner could make plans with the community partner involving the group as a whole. The experience also taught us that communication and research involving large groups of people may be dynamic and require changes in inquiry strategy. As Steven Levitt argues in the podcast Failure is Your Friend, through failure success will eventually emerge (Cohn, 2015). For instance, the initial approach of asking open-ended questions to the group of seniors proved inefficient and it was necessary to develop an alternative system of data collection via a tally/vote system which was successful. Ultimately, our group achieved a successful outcome via gathering beneficial knowledge from the seniors and providing the ISS of BC with an asset map of affordable/culturally-appropriate food resources in the Guildford region. In future group work, one of the responsibilities of one or several of the individuals could be to design an allocation of responsibilities for each individual group member based on relative strengths of the individual group members. According to Phillips (2014), a group of diverse people are more open minded and capable of solving tough challenges. The person coordinating the allocation of tasks could take Phillips’s argument into account via sending a survey to each group member regarding personal strengths and using the course calendar and list of assignments to create a task list for each group member suited to each group member’s potential for contribution to the project. By creating a collaborative work environment, we can create positive, significant and long-term differences in communities. In turn, further beneficial work may be done by working further with the seniors to identify knowledge from the community which may be beneficial to new immigrants and to further assess food resources throughout the lower mainland in terms of affordability and cultural appropriateness to a variety of groups from different ethnicities and cultural backgrounds. The usefulness of the asset map will need to be tested (ie via feedback from new immigrants) and subsequent refinements to the asset map could be made to better serve the community. In turn, changes in the distribution of food assets will need to be incorporated into the map so as to ensure the longevity of the map’s utility in serving new immigrants. By continuing to recognize the knowledge present in the immigrant community in Surrey, efforts to map food assets can be bolstered via the identification of successful strategies and map layouts and the incorporation of further experiences of new immigrants to the area to combat food insecurity for new immigrants to Canada. Rolfe, G., Freshwater, D. and Jasper, M. (2001). Critical reflection in nursing and the helping professions: a user’s guide. Basingstoke: Palgrave Macmillan. This entry was posted in Uncategorized on April 11, 2017 by sashka warner. Send a team from our group to visit the stores identified by the senior immigrants during the Feb. 14th meeting. Assess the accessibility and proximity of the stores identified by the senior immigrants. Verify the nutritional suitability, cost and cultural appropriateness of food within the stores identified by the seniors. Begin first draft of asset map with data gleaned from field research. Confirm dates with ISS of BC for the future cooking day with the seniors. Team of students successfully visited stores identified by the senior immigrants. Students collected data describing the diversity, quality, and culturally appropriateness of foods sold in the stores of interest based on criteria and key food items identified by the senior immigrants at the Feb. 14th meeting. Students collected data evaluating the accessibility of the stores of interest. Began first stage of mapping process (chose appropriate mapping software, identified area of interest). Worked with LFS 350 course facilitators and ISS of BC to establish date and logistical arrangements for cooking with the senior immigrants. Prepare first draft of asset map to give to ISS of BC and the senior immigrants so that we can receive feedback from the seniors as to the quality and utility of the map product. Meet with kitchen manager to facilitate the process of cooking with the seniors. Secure funds for purchasing foods for the cooking session. The first moment of significant knowledge change identified by our group was the initial meeting with ISS of BC. This meeting expanded our understanding of the background of ISS of BC as well as the context for the needs and challenges faced by the populations of immigrants in question. This meeting also clarified project details (we learned that Newton would not be a focus of the study) and group responsibilities (ie deliverables and project timeline). This meeting furthermore yielded the fact that we would have to receive background checks to participate in the project. We were able to complete the background check process relatively smoothly, but learning of this requirement in the meeting changed our perception of the timeline and challenges of the project as we had to complete the background check process prior to meeting with the senior immigrants. Another moment of significant knowledge change as identified by our group was the meeting with the senior immigrants. This meeting was hugely beneficial as the seniors provided our group with a wealth of information as to where to locate the best food resources in relation to the project. With the help of the senior immigrants through a voting survey our group was able to record key locations of stores that would be essential for the asset mapping process. Moreover, the seniors kindly provided further information describing the benefits and drawbacks of each store identified. By the time the meeting was over, we had compiled a detailed list of key foods important to the senior immigrants as well as the corresponding locations in which to find these key foods. The seniors furthermore described the relative affordability of the foods at each store and identified commonly-used bus routes. Through this meeting we were able to eliminate various stores in the area from our search due to affordability, accessibility and cultural suitability concerns. In turn, one interesting finding of the meeting was that the majority of the seniors at the meeting were Christian and thus did not have priorities for finding halal foods. Our previous understanding of the project was to map primarily stores that sold halal foods, so this meeting enlightened our understanding as to the actual needs and wishes of the senior immigrants. A further moment of significant knowledge change identified by our group was that of the field research process. This point in the project tested our ability to verify the results of the meeting with the seniors via using our food systems understanding to evaluate the stores in question for relative cost, accessibility and cultural suitability. In turn, knowledge gained from this process is essential for the map-making process. An additional possible moment of knowledge change as identified by our group was the date for cooking with the seniors. This cooking session will possibly provide a fount of knowledge as to cultural food traditions practiced and retained by the senior immigrants. In this way, the cooking session will likely result in a significant knowledge exchange between the senior immigrants and our group as to diverse perspectives and realities of food systems as related to different cultures and geographic regions. The first moment of significant emotion/passion/inspiration change identified by our group was the first meeting with ISS of BC. This meeting served to convey concrete information as to the challenges faced by immigrants and refugees to BC, and our group felt an emotional connection to the difficult realities discussed by ISS of BC of life for immigrants in BC. In turn, our group felt an emotional connection to the positive stories of bonds formed between within the immigrant community and with regards to the employees and volunteers of ISS of BC. 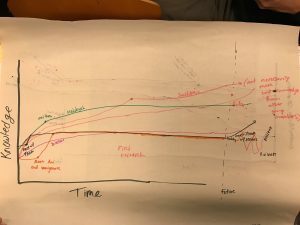 This meeting served to provide an emotional incentive for conducting the project and brought our perspective of the project from outside of academia to the real world. The next moment of significant emotional change as identified by our group was that of the meeting with the senior immigrants. This meeting further served to put faces to the “target population” of our project. Our group members felt a positive emotional response to meeting with the seniors. At times it was awkward and challenging to communicate with the seniors due to lingual challenges. However, the moments of understanding gleaned from this exchange were intensely satisfying and positive. In turn, knowing the names and a little of the character of the seniors helped provide further incentive for our group to produce a useful map product so as to benefit the seniors who had nicely spent several hours going through minute details such as the comparative price of lemon peel at stores in Surrey. This meeting further tied the project to the real world, and the positive experience of our group members at the meeting fostered drive in our group to produce a useful and well-researched asset map. In Ron Finley’s TED Talk, we learned about the struggles of living in a Food Desert. He talks about his area in South Central LA and how there are more fast food establishments than grocery stores, and how obesity is an epidemic that has plagued his community. He said that people are dying more from obesity than drive-by shootings and that he took action by planting gardens in vacant lots. After dealing with some backlash from the local government and police, he won his case and was able to continue planting gardens, growing his own food. The initial state of his community has some parallels with the Guilford area for the Immigrants. When driving in the Guilford area, we saw many fast food institutions, and fewer grocery stores, even fewer Halal grocery stores. As such, the Immigrants may find themselves lost and unable to find appropriate foods, but they also may have a hard time finding healthy options as well because of the food desert attributes of the area. It would be interesting to see if the seniors would be interested in learning to grow their own food like Ron Finley, as that would be a great community building exercise as well as a way to gain some autonomy and independence over their situation in the area, especially for newcomers (Ron Finley). 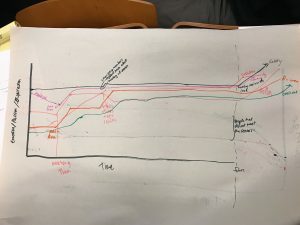 Our strategy for successful project completion hinges on finishing the initial draft of the asset map by mid-next week so as to be able to provide the map draft to the seniors. Hopefully the seniors will be able to look at our work so far and give us useful feedback as to the utility and validity of our map. At the cooking session we will discuss the map in person with the seniors so as to make sure that our final product will be of use to the immigrant population in question. With this feedback from the senior immigrants we can refine our map product so as to reflect the desires of the seniors and hopefully better align the usefulness of the map to benefit incoming immigrants and refugees. To facilitate this cooking session we must coordinate with the kitchen manager and UBC so as to ensure our access to and proper use of the kitchen as well as to secure the funds necessary to purchase food for the cooking session. The final map must be completed in the next several weeks, so we must work diligently to complete the initial map draft so that our draft can be augmented by feedback from the seniors and possible additional field research necessary to create the final map product. In addition to our schedule, in consideration of the University of Memphis module on Power and Privilege, we have to take into account our relative privilege as native english speakers who have grown up in Canada (some of us) and the knowledge that is “common” to us but not necessarily “common” to newcomers. In that sense we need to make sure that we outline bus routes very clearly in an accessible way (UofM: Power and Privilege). We are very excited for what is to come and we will keep you updated in the final stages of our project! References: “Module 2 – Engaged Scholarship.” University of Memphis. N.p., n.d. Web. 5 Mar. 2017. This entry was posted in Uncategorized on March 10, 2017 by sashka warner. After meeting with our seniors we are stoked to report that we are well on our way with our Asset Map. The seniors were so fantastic and helped identify some fantastic resources to include in our map. Here is our project proposal! Our meeting with the seniors was informative and engaging. After an initial poll as to where the seniors liked to shop, we set up a tally system where each senior could add a tally next to each store on the list if the senior shopped at this store regularly. The seniors then kindly provided details as to which kinds of food can be found at each of the stores on the list, and identified key culturally-appropriate foods. A surprising takeaway from the meeting was that the seniors said that they had already known of where to shop before they arrived in Canada. According to the seniors, the sponsors who worked with the seniors to ease the seniors’ transition to living in Canada provided information as to the right places to shop up to a year in advance of the seniors’ immigration to Canada. However, the seniors said that having a map of the key stores would still be useful for newcomers. At the end of the meeting we asked the seniors if there was anything they would have liked to know before they had moved to Canada. Their response was that the seniors would have liked to have known where to find affordable housing when they first arrived in Canada. As shown in Miewald and Ostry’s “A Warm Meal and a Bed: Intersections of Housing and Food Security in Vancouver’s Downtown Eastside” (2014), there is a connection between community food security and access to suitable housing. In many cases affordable housing is not centrally located and does not allow for easy access to food, which poses a challenge to newcomers on a budget as well as people with physical limitations like some of the seniors. While identifying affordable housing locations is beyond the scope of this project, future projects may benefit from incorporating this research into their food systems analysis. It has been one month since our last post, and we are really excited about the direction our project is taking. We have met the incredible people from the Immigrant Services Society of BC (ISS BC) and seniors from the Guilford community who have provided us with invaluable information and inspiration to create the best resource possible for both the seniors and for new immigrants. Meeting with the seniors puts into perspective the impact that we can have, and makes the effects of the project more tangible. Assigning faces and creating a personal connection with the people that will benefit from the map drives us to put our best foot forward. 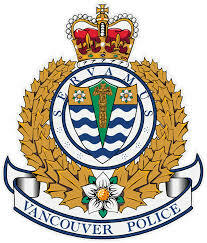 We have also completed our Criminal Record checks at the Vancouver Police Department ] for vulnerable populations which will allow all of us to cook with the seniors at the end of our project, which is another great opportunity to learn and to assess how effective and useful our map was for the seniors. ● Consider, and possibly refine, how your group has been framing your approach to your community-based project with respect to how you “see” yourself and your community. ● Met up with Thea Fiddick from ISS BC. ● Filled up the volunteer application form. ● Learned the community’s expectation for our asset map and what other group has achieved in the past. ● Consider how behavior, identity and action is shaped by and shapes an individual’s efforts to engage in positive change in the food system. ● We learned how to make the map more practical for new immigrants to the Surrey area. ● The seniors provided us the list of grocery stores they like to go in the community and pointed out the key ingredients from recipe book. Our goal for this project is to create a food asset map for new immigrants who settle down in Surrey area so they can have access to affordable and culturally appropriate foods. To achieve this goal, we are working together with ISS BC. Meeting our community contact Thea Fiddick was the milestone moment for our project. Thea has been working closely with new immigrants for ISS BC for over 10 years. She knows new immigrants’ needs, cultural background and the difficulties they face when they come to BC. Most new immigrants have Muslim background and speak Persian, so the recipe book was written in Persian by people from the community and translated into English and all the ingredients must be halal foods. When we read the recipes, some ingredients are not specific and confusing. An other issue is that the food secure issues they are facing are more complicated than we initially considered. Most new immigrants ISS BC are helping are refugees from Afghanistan and Syria, and they live on the benefits provide by Canadian government and it is only about 1000 per month. So public transit for them is not affordable. The definition for community food security is “all community residents obtain a safe, culturally acceptable, nutritionally adequate diet through a sustainable food system that maximizes community self-reliance and social justice” (Hamm & Bellows, 2003) In this situation, food security for these new immigrants are being able to access affordable, culturally appropriate and nutritious foods from walking distance. Another issue occurred to us in the meeting is that we want to provide as much details as possible on the map, but we need to make it simple for the new immigrants to read. ◆ What are the key ingredients that should be featured in the asset map? ◆ Which shops are the most culturally appropriate, accessible and affordable for the seniors? ◆ What information the seniors want to know from the map? Besides, we will ask the seniors to review our map after we finish it. In the meeting, the seniors provided a list of key ingredients and a list of grocery stores they like to shop at. To finish the asset map, our next step is to check up grocery stores in Guilford town center area and the other grocery stores the seniors provided for us. We need to ask if the grocery stores carry the key ingredients from the recipe book as well as their price. After acquire all the information we need we can work on making the map. In order to cook with the seniors, we need to contact the seniors through Thea, confirm a date with the seniors and our professor then we need to book a kitchen in UBC. After the date is confirmed, we will decide what food we want to make and a grocery list, so we can shop for the ingredients one day ahead. We are so excited for what’s to come and we are confident that we have the tools we need to get through the next phase of our project. Check in next time for an update on our progress! Hamm, M. W., & Bellows, A. C. (2003). Community food security: Background and future directions. Journal of Nutrition Education and Behavior, 35(1), 37–43. Welcome to our blog! Our group members include Ruiwen Wang who is majoring in Food and Environment, Mahdiyeh Dabestani and Chen Cheung both majoring in Food Nutrition and Health, Sashka Warner and Gabriella Switzer both majoring in Global Resource Systems, and Crescent majoring in Food market analysis. Our group is most interested in how culture influences food and eating habits in Immigrant communities. Food justice is the right of all people to healthy, accessible, affordable and appropriate food and it is an intersectional issue that runs parallel to cultural prejudice. Being one of the most diverse countries in the world, Canada welcomes new immigrants each day. Their experience of transitioning into life in Canada is often idealized in the media, and their struggles go unnoticed and unacknowledged. Several of our group members are immigrants, and we all have diverse cultures and backgrounds that influence our experiences in Canada. We want to address the cultural struggles that immigrants face in Canada through food. We are excited to get to know the seniors and explore the food resources that are culturally important to them and to help them feel more comfortable in Canada by creating an accessible map of the ingredients for the recipes they entered into their recipe book. ISS of BC serves new immigrants to Canada through their 17 offices, employing over 400 employees, who work with the community in creating and carrying-out supportive programming. They have been working since 1972 to help make the transition for immigrants from their native country to Canada as smooth as possible by helping them find jobs, housing and other support services. The incredible work that they do to welcome newcomers is invaluable. When we arrived at the office, we saw first hand, the organization at work. A family had arrived to Canada just three days prior and were at the office looking for assistance with childcare. The empathy and desire to help was palpable and the staff were so welcoming to this family. It was an exciting experience to witness a family coming to a new country and having an immediate resource and connection to a group of people and a support system dedicated to helping that family. We immediately knew we had made a great decision in selecting this project. Hi! 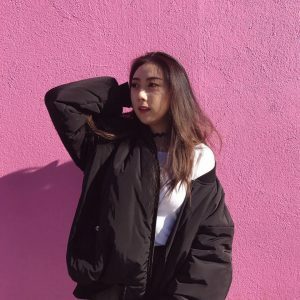 My name is Gabby, and I am in 3rd year in GRS! 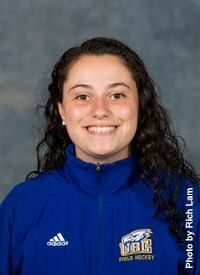 I am also a varsity athlete on the Women’s Field Hockey Team. I chose this project because as a Jewish person living in the diaspora, I experience cultural differences and challenges everyday. I keep Kosher, which is a similar concept to Halal in which I have food restrictions based on my religion. This influences the way that I interact with my peers in social situations. It also makes me a involuntary spokesperson for Jewish people in my non-Jewish communities. My experience although unique, is easier than recent immigrant’s because I was born in Canada. So although I adjust to Canadian culture, I never had to figure out how to be Jewish in this country alone because my parents and grandparents paved the way for me. If I can help create a smoother transition for immigrants with cultural/religious dietary restrictions using my knowledge and understanding about the subject, that would be awesome! Hi, I am Bella. I am international student from China. Currently. I am in the Food Nutrition and Health major. I like travelling, cooking and reading. I am also writing articles about food and nutrition in Chinese. I remembered when I first came to Canada, I was intimidated by the price of food. Although there are many grocery stores that sell Chinese food in Vancouver, it was hard for me to find what I needed near UBC at a decent price. It seems like if I want something healthy and fresh, I have to pay the price. Until I found a small grocery store on Broadway. The store looks dirty but the products are fresh and they have almost everything. The price was also great. This happened after I had been in Vancouver for 2 years. So I wish this project can help people to find places like this sooner than I did. Hi everyone! I’m Crescent Yue majoring in Food market analysis. Since my mother is a doctor, she pays great attention on our health. Trying to consume a variety of nutritious food has invariably become a part of our family’s lifestyle. Due to my father’s job, our family moves around a lot. I lived and studied in more than 3 countries before, America, Canada and China. The multicultural experience helped me understand and respect other cultures more. What’s more, it made our family appreciate how crucial it is to have the sufficient availability of access to nutritional sources. I find this project a rewarding opportunity in that, having had the similar experience, I comprehend the struggle for immigrants/refugees new to the community of finding nutritious and cross-culturally suitable food to satisfy their diverse tastes and the unique needs (such as halal foods) and more. I hope at the end of our project, our team could more or less contribute to ISSofBC’s mission of “Helping immigrants build a future in Canada ”. Hi, my name is Mahdiyeh. I am in my 3rd year at UBC majoring in Food Nutrition and Health. I like gardening and growing something different and unique each year. I also enjoy cooking and traveling. I migrated to Canada when I was in grade 9 and was amazed to be exposed to the diverse cultures it offered. A few challenges I came across were adjusting to the school system here, the culture, and finding culturally appropriate food (such as halal meat). I am aware of the challenges an immigrant would come across therefore, by participating in this project I hope to help and support others by making it easier for them to find suitable food items. This opportunity to map culturally relevant nutrition and food resources for newcomers really means alot to me. Hi, my name is Sashka! 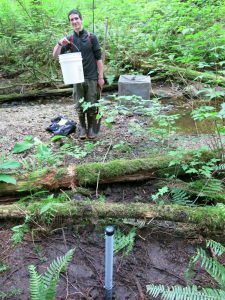 I am a 3rd year UBC student in the faculty of Land and Food Systems majoring in Global Resource Systems (B.Sc) with a focus on water resource management and hydrology. I enjoy running and playing the guitar. I chose this project because I was drawn to the idea of helping people new to Canada find familiar and culturally-appropriate food resources. In a previous UBC Spanish course I worked with other UBC students and REACH Community Health Centre to construct a recipe book providing techniques for using ingredients local to the lower mainland for immigrants from Latin America. We translated recipes into Spanish, and edited texts to create a resource for learning the process of incorporating local ingredients into meals for immigrants new to BC. However, finding culturally-appropriate ingredients and meals can be challenging in a new environment. I was intrigued by this project as it places an emphasis on facilitating and preserving traditions from other countries and ethnicities as opposed to forcing newcomers to assume North American customs. Through this project I hope to (in a small way) help smooth the process for newcomers of adapting to life in Canada. Hi, My name is Ruiwen. I’m a third year Food and Environment student, which mainly focuses on agroecology, ecological services and food communities. I enjoy sports such as soccer, basketball, and skiing. Music is also a huge part for my life. The reason I choose this project is that I was one of the new people to Canada three years ago, and it took me quite a while to figure out where to find the food resources that I want. It is also a challenge to new comers to adjust the new food culture. I want to make the food community be more “friendly” to the people that just come here, so that they can integrate into the local community in a much shorter time, and be one of the multi-cultural community. PJ Vogt, a podcaster for the Gimlet hosted a show called “Raising the Bar” (2016), with a guest called Leslie Miley. Leslie Miley, the only black engineer at Twitter told his story with respect to race in the technology sector. Learning about Leslie Miley’s experience at Twitter as the only African-American engineer, and the ways in which Twitter tried to increase diversity through creating a profiling program, exemplifies the kinds of issues we will touch on through our project. We want to encourage diversity and immigration naturally, by creating a more welcoming and familiar environment, providing resources that make the transition smoother. At the same time, we want to create a relationship with our Arabic seniors, building cross-cultural connections. Profiling programs do not foster diversity, but rather they perpetuate divides. Being that our group is so diverse, we are confident that we will develop a myriad of different ideas and solutions to the problems that will arise throughout our project while prioritizing the needs of the seniors, as well as create a bond with them. As noted in the article in The Scientific written by Katherine Phillips (2014), diversity makes for better outcomes in problem solving situations. As a diverse group, we want to support the growth of diversity in Canada. Our first goal is to assess the needs of the group. The first way we do this is looking at the recipes they provided in the recipe book and seeing which ingredients can be purchased at different shops. We must take into account affordability, accessibility and appropriateness. In this regard, we must ensure that the prices are affordable, that they are physically accessible either by bus route or walking, including wheelchair access. And we also must make sure that the foods are Halal, to provide cultural appropriateness. We are going to be creating a map of the local shops in the Guilford area that sell Halal products and other ingredients needed to create the recipes in the recipe book made by immigrant seniors. This will help serve our immigrant group as well as new immigrants coming to Canada who have share similar cuisine, providing them with the resources to buy culturally appropriate foods. In some cases, the immigrants will be unfamiliar as to how to shop in stores that are primarily stocked with non-Halal foods, so this project is extremely important to alleviate some of the stress of that adjustment. Not only is this helpful to all parties, but it is especially rewarding for the seniors who are giving back to the community in sharing their experiences as immigrants and helping the next generation of newcomers settle. It will also help them become familiar with their neighbourhood and find places of community. Finally we are looking forward to cooking with the seniors at the end of the project, and seeing how we interact and bond over sharing culture through food. We hope that the relationships we create throughout the project last and hopefully inspire us to continue working with the ISS of BC through other important projects in the future. We met with our lovely community partner from ISS of BC, Thea Fiddick today. Along with an excellent recommendation for a local bakery, she provided us with some incredible insight into the organization as well as the project that we are collaborating on. The project that she has underway is a recipe book created by Arabic seniors that includes their stories and recipes. At the end of the book, Thea wants to add an asset map that helps to map out where the ingredients for the recipes are. Thea was awesome and so were the other staff members like Salwa who were kind enough to spend time with us. They all seemed passionate about the projects they were working on, which spoke volumes to the kind of rewarding work we are starting. Our target audience being primarily Arabic seniors who have immigrated and settled in the Burnaby area presents a unique set of challenges. Language is a barrier that some of us are apprehensive about seeing as it will be difficult to talk to the seniors and understand their needs and wants for the project. But, we know that there will be translators and that we will overcome the barrier. After watching Ernesto Sirolli we were reminded that we have to avoid the paternalistic helicopter approach when considering how to go about our project. We do not know what is best for the seniors, the seniors know what’s best for themselves. Our job is to listen to their needs and use the knowledge and resources we have to meet those needs. Therefore, although we came into the meeting with a few ideas on how to approach the project, we remain open to listening to the needs of our group and prioritizing that information, using it to shape our solutions. What we know so far are the needs of all cross-cultural seniors, wheelchair access, and short and simple bus routes. But for now we can only wait to meet with the seniors to understand the cultural component that defines their needs in order to create a plan on how to address them. We are optimistic and eager to get the process started. For now, we are working on getting our Criminal Record checks completed, and have a tentative plan to meet the seniors in a few weeks. TEDTalks: Ernesto Sirolli–Want to Help Someone? Shut Up and Listen! [Video file]. (n.d.). This entry was posted in Uncategorized on January 27, 2017 by gabriella switzer.